Healthcare@: Your #5Actions for This Week! Urgent action needed on Medicaid, SNAP, and more. Summer is in full swing and things are heating up! From presidential accountability, to healthcare, to maternal health.... we need YOUR superhero action powers this week to help make our nation a place where all families can thrive. And you don't need Wonder Woman’s golden lasso or magical wristbands to make a difference - Your voice is all the super power needed to be a summer blockbuster hit! Every time you take action, speak out, and show up, we're reminding leaders that we are POWERFUL! Take all 5 actions at once, or do one a day. Your choice. What matters most is that you continue to speak out! And be sure to share this list with friends and family too. 1. Join MomsRising's Next #KeepMarching Telephone Town Hall on Special Counsels, Independent Commissions and Impeachment. 6/22, 9PM ET/6PM PT. BACKGROUND: Obstruction of justice, violations of the Emoluments Clause, attacks on the media...These are just a few of the words in recent headlines that are causing many Americans to have deep concerns about the current presidency. That’s why MomsRising Executive Director Kristin Rowe-Finkbeiner is hosting special guests Elaine Kamarck of the Brookings Institution and David Sievers of MoveOn.org for an exciting and timely discussion about presidential accountability, followed by Q & A, when you get the chance to get your questions answered! After you share on Facebook, pass this number on to invite your friends to help save our health care, too. BACKGROUND: As parents we know when there’s silence, there’s often some sort of trouble happening. And soon after—we hear that infamous crash!! Well, right now there’s a whole lot of silence happening behind closed doors in the U.S. Senate. U.S. Senator McConnell (KY-R) has initiated Rule 14 proceedings, which is just a fancy way of saying he is trying to fast track the repeal of the Affordable Care Act. No hearings. No expert input. It is outrageous! 3. Check Out & Share our Amazing New Video about Paid Family and Medical Leave! BACKGROUND: We were heartened that President Trump’s proposed budget recognized the need for paid family leave which is, indeed, an urgent priority. But the fact is that the administration’s approach is not only terribly flawed but also is coming at the same time as Trump is proposing massive cuts to the programs that lift families and our economy the most. In other words, name-checking this policy in Trump’s budget is a smokescreen for him pushing through many other bad policies that hurt families and our economy. 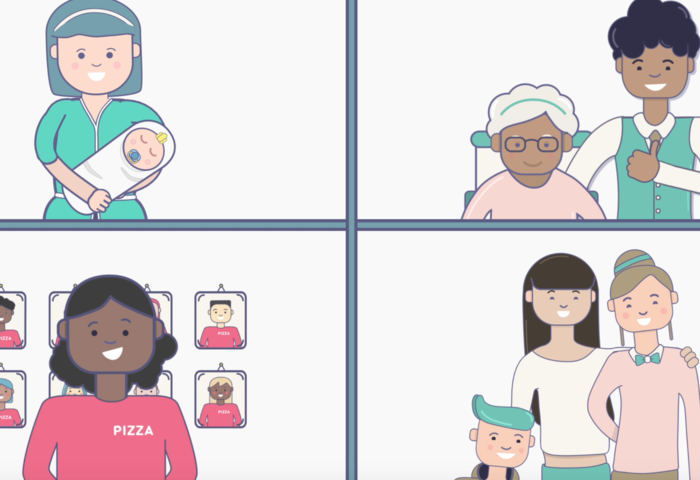 Check out our powerful video about just how important paid family and medical leave really is to our families, our businesses and our economy! And be sure to share it with friends too. 4. 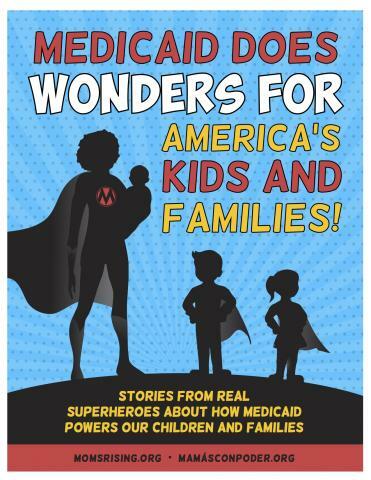 DC-Area Moms: RSVP for June 21st Medicaid & SNAP Event on Capitol Hill! BACKGROUND: We are sounding the alarm! We need your mom superhero powers—stat! We are joining our super forces with policy partners to speak out and tell the stories about why Medicaid, quality, affordable healthcare, and SNAP is important to our families. We want you (and your little superheroes) to join us on Capitol Hill this Wednesday, June 21st at 11a.m. so we can show the press and key U.S. Senate offices that Medicaid and SNAP is so important to the health and nutrition of millions of families. It will take all our superpowers to break through the politics and rhetoric on these important issues. 5. Tell CA Legislators & the CA Health Department - We need to protect mothers! BACKGROUND: Kyira Dixon Johnson was excited to give birth to her second son. In good health with no pre-existing conditions, she delivered a healthy baby boy. Within 24 hours, however, Kyira would lose her life to preventable birth complications. Kyira did not have to die, Her sons did not have to lose their mom. Tragically, this family is not alone. While other nations are experiencing a decrease in maternal deaths, maternal mortality is on the rise in the United States, especially for Black mothers. 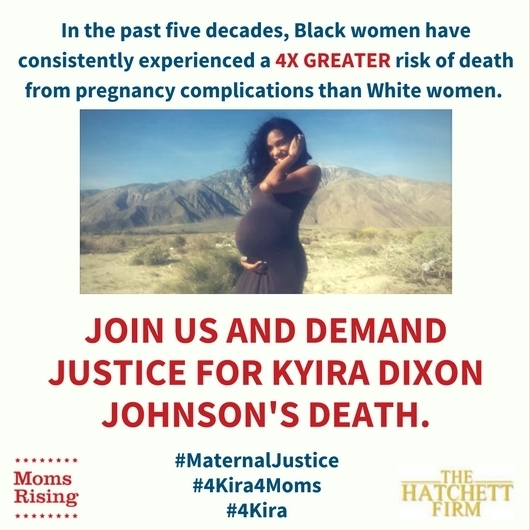 We need to both support Kyira’s family by calling on the CA Department of Health to investigate her death and also urge the CA State Legislature to sign into law strong maternal health protocols in order to protect every mother. Thank you for all you do superheroes! #KeepMarching! Did You Miss Any of Our June Releases? Vote for Frank Wagner Today!